I purchased this organic whole wheat crust from Esquina de los Flores. It was great – chewy and wheaty. 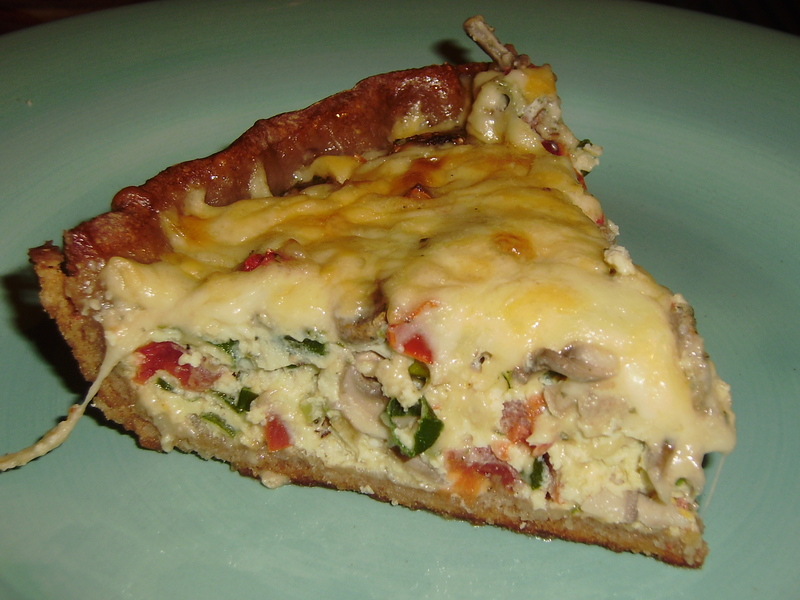 It made the perfect crust for this vegetarian quiche. Place your pastry crust in a greased pie tin. In a small bowl, whisk together eggs, salt, pepper and milk. 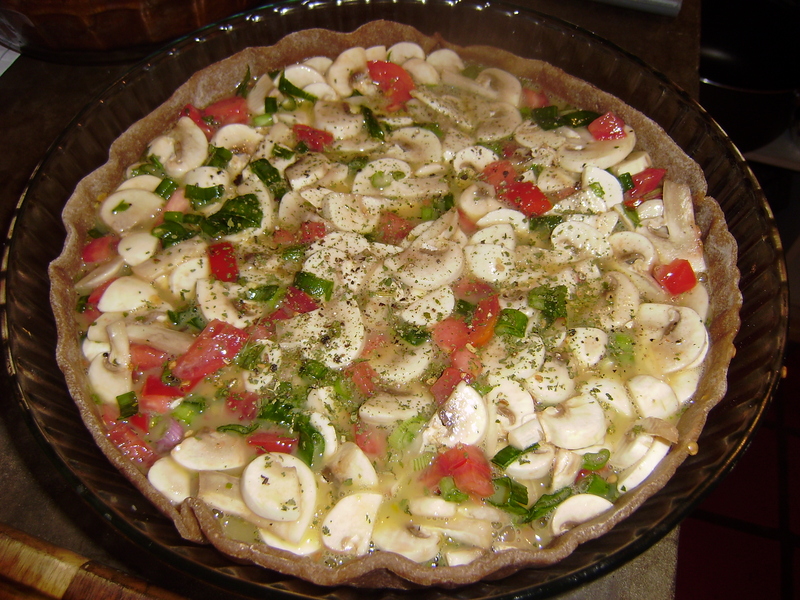 In a large bowl, combine the mushrooms, tomatoes and green onions. 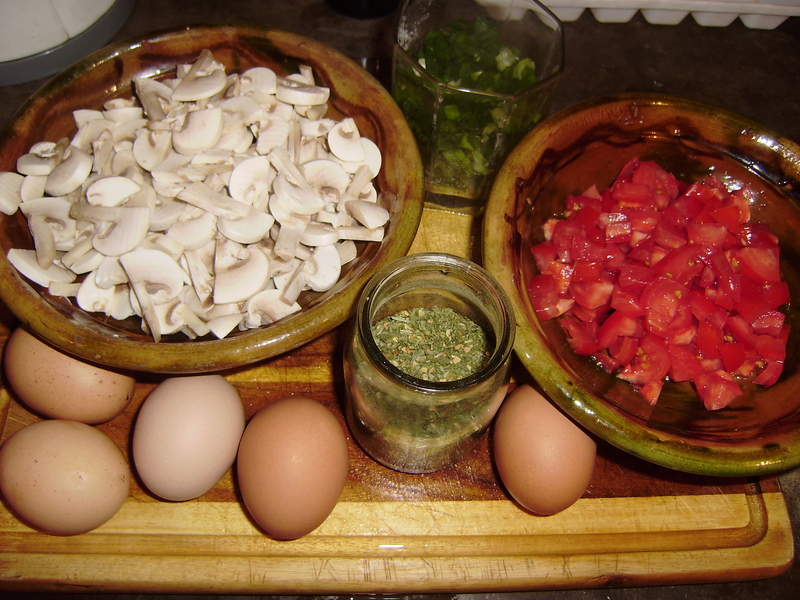 Mix well and then combine with the eggs. Pour mixture into your pastry dish. Bake in the oven at 350 degrees for 30 minutes, or until almost set. 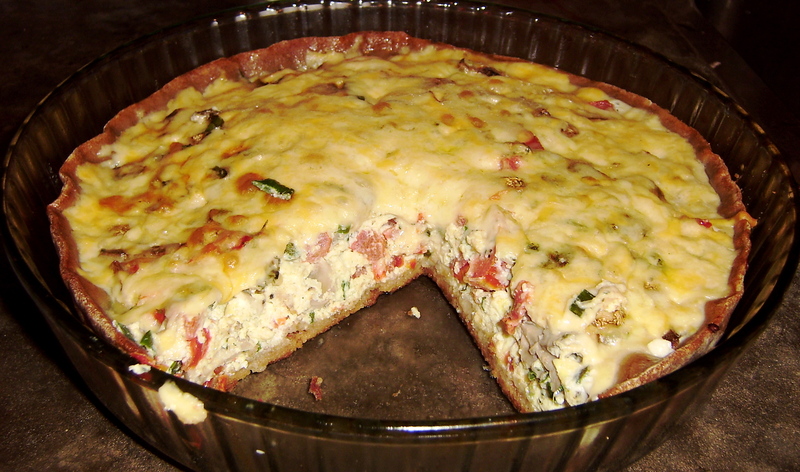 Remove from oven and sprinkle cheese on the top. Return to oven and continue baking until all the cheese is melted and bubbly.